I was chatting with a couple of people yesterday after a networking meeting that I facilitated. One of the people said, "The great thing about this group is that all the people get it"
I asked what he meant by 'get it' and he said "They are a likeable, intelligent and friendly bunch with solid businesses. Everyone is there to help the others achieve their business goals first and foremost. They are relaxed, not desperate and not selling to each other." A wonderful summary of the attributes of great networkers! I was really pleased when Ecademy founder Penny Power asked if she could quote me on Advocacy in her new book Know Me, Like Me, Follow Me - what online social networking means for you and your business. Penny was at a meeting when I presented and subsequently wrote about here a couple of years ago on networking for advocates. She wrote about this in her book and what she learned about advocacy. "The greatest aspect of 'like me' is is the power of creating advocates around your knowledge, people who will 'talk about you when you are not in the room'. To me this is real network value. 'Know me' cannot achieve this ... you cannot achieve this advocacy without having a relationship with that advocate." Read more from Penny at the Know Me, Like Me, Follow Me Blog. A recent post, 'Are business cards a necessity for business networking?' received replies here and also on links to the post on my profile on Twitter, Facebook, and Linkedin. A great example of the need to keep up with your conversations online. The consensus of the replies about business cards was that they were a necessity in business networking. I agree with that view and they should support the professional brand image you are looking to build through your networking. A strong visual identity is a very important outward manifestation of your brand and the quality of your business cards needs to be aligned with that. A word of warning though about using free business cards with 'Business Cards are FREE at...' on the reverse side. I have seen a couple of people using these recently and the recipients all said they raised serious doubts about the credibility of the presenter. Who answers your phone whilst you are out? One of the points covered at last week's Client Attraction Techniques Masterclass from Small Business Marketing Expert Nigel Temple was response time. Your clients or potential clients often want an answer right now. Indeed this is so important that 80% of business people do not leave a message if they get an answer machine or voicemail. If you are investing valuable time in generating leads and referrals from networking and other business development activities you don't want to lose out when you can't answer the phone personally. It is uneconomic for may small businesses to employ a receptionist. There are, however, many virtual office and phone reception services available for a relatively small fixed fee or you can pay as you go. 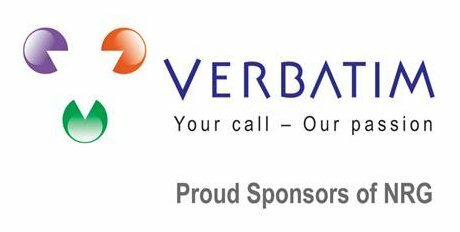 We use a phone answering service from Verbatim for our inbound phone calls. It's an efficient, professional and cost effective way of ensuring we don't miss those important calls. Especially those that require a quick response! These indicate that the parties have not just discussed a possibility, but have a definite agreement about a desired outcome and the specific things required by each to fulfill this. There are great lessons to be learned from this in networking. Many people are not really getting the most out of their networking. They are just meeting people and hoping for the best. Success in networking is something that will remain a possibility rather than a probability. Those that follow a structured and systematic approach to building trusted relationships do really well. They do the things they need to do for others in their network and those others will know what they need too. It is a good idea to get together with your really good business contacts and find out if you can agree specific things to help you each achieve your business goals. In a One2One this week a mutual acquaintance was mentioned by my friend. She said this about him "I really like and trust him, but I have no idea how to help him in business because he is really vague about who he wants to talk to". Later I was able to relay this message and ask the person who would be a good prospect. After a few minutes I understood clearly the frustration felt by my friend. He committed to work on the problem and come up with something to help his network to help him. It is really important to get people to know and like you, but it's equally important to be clear about who and what you are looking for. At a networking meeting lunch last week someone said to the person sitting next to me "what did you do before this new business of yours?" He talked about his previous Corporate role and said "but that won't be relevant to anyone here". He could not have been more wrong! One person had worked for another division of the same corporate and another was engaged in a project with them currently. It's a big mistake to think that the people you used to work with are not relevant or not interested in what you are doing now. As you build new relationships that will be very important in the future don't forget the people you have worked with in the past. You have already invested in these relationships and built trust. If you have moved on then they might have too. In 'How to get started with this networking stuff' I wrote about the importance of keeping up with existing relationships. Does Your Selling have the Partnership approach? Many business owners and professionals are strangers to the world of selling and can run into problems with a misunderstanding of the approach required. Richard White's The Accidental SalesmanÂ® is often a very apt description. Successful selling is not about being pushy and looking to 'close' everyone you meet. The best networkers are very clear about what they do and for who - their target market. They are friendly, helpful and constantly looking for opportunities to connect their network with people, knowledge & opportunities. They also understand that people will buy from them when they are good and ready and adopt the same approach of helping and educating prospects. I attended an excellent Client Attraction Techniques Masterclass from Small Business Marketing Expert Nigel Temple yesterday. I am sure Nigel's stuff will inspire a good few blogs in the days ahead. He touched on the psychology behind the new sales & marketing several times. A powerful illustration was the experience of shopping at the John Lewis Partnership. The Sales Assistants there are truly deserving of that 'assistant' title. They are`there to assist us in making an informed buying choice. Always ready to answer questions and leaving us with the decision at all times. They understand something I learned from a Sandler trainer about Newton's Third Law and the way it also applies in selling. The law of reciprocal actions states, 'To every action there is always an equal and opposite reaction: or the forces of two bodies on each other are always equal and are directed in opposite directions'. If you try and push someone to buy something they will push back. I know what my reaction is when I get pounced on as I walk through a shop door. Nigel suggested spending some time in John Lewis watching them in action. Not a bad idea if you have the time. Which conversation would you join? If you walked into a networking event & the subject of everyone's conversation was in a speech bubble above their head which one would you join? During a recent seminar from Ecademy founder Penny Power about what online social networking means for you and your business Penny got the attendees to split into groups. After a few minutes she invited everyone to share the subject of the conversations. In spite of being at a business event the majority of the conversations were not business related. They were about the things that people were interested or passionate about. Most of the time we will not have a useful 'speech bubble' so ask questions to find common ground. Be interested and you will find as I wrote yesterday Everyone has something to say. Finding what someone has to say and giving them the time to say it means listening first. That's what the people who do really well in networking do all the time. Listen and engage first rather then pitch and move on.